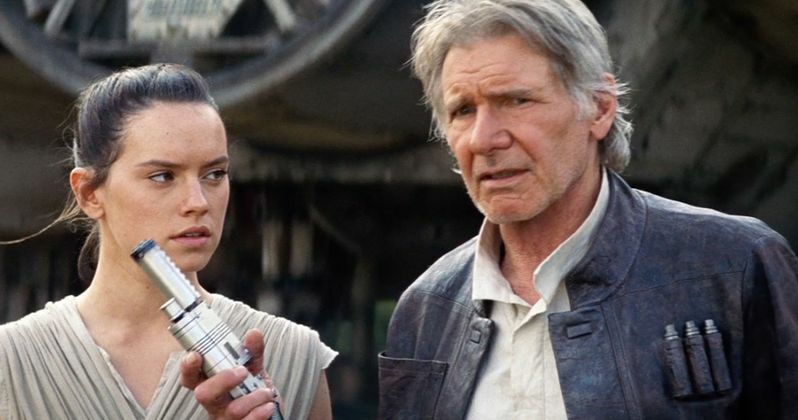 Back in 2014 when Star Wars: The Force Awakens was still a very intangible, mysterious thing, we got reports that Harrison Ford was injured on the set. We later found out that it was due to a door on the Millennium Falcon malfunctioning which fell on him and pinned his leg between the door and the floor. He was taken to a hospital, treated and was ultimately able to finish reprising his role as Han Solo. As it turns out, the injury could have been much more severe and according to a recent court hearing, Ford could have been killed. A recent report from The Guardian gave some details on a recent court hearing that took place in Milton Keynes, England. The company that was responsible for the incident, Foodles Production, pleaded guilty to two separate counts that breached various health and safety codes they were expected to adhere to. According to the prosecutor Andrew Marshall, this incident, which resulted in a broken leg for Ford, could have been life-threatening. "It could have killed somebody. The fact that it didn't was because an emergency stop was activated." The initial report from the set was that Ford had injured his leg and that it did set the production behind a bit, but there wasn't a sense that it was at all life-threatening. As Marshall points out, the injury was made less severe because an emergency stop was activated. The report from The Guardian also noted that a health and safety executive explained that the weight of the door that fell on Ford's leg was the weight of a "small car." That being the case, it is very easy to imagine that the weight of that door could have done a lot more damage to Ford, who was 71 at the time. At the time the accident occured, director J.J. Abrams was nearby and rushed to get the door lifted off of Harrison Ford's leg. This resulted in the filmmkaer breaking his back, and having to wear a harness for the rest of the shoot. Ultimately, Ford was able to heal just fine and The Force Awakens was able to shift around their production schedule to accommodate the injury. The actor has even joked a bit about the injury on various talk shows since and doesn't seem to harbor a lot of negative feelings towards anyone specifically about it. Also, the injury didn't ultimately hurt the movie, as it was very well received and wound up grossing more than $2 billion worldwide. Foodles is not going to walk away from the incident un-scathed though. The Health and Safety Executive stated that the incident was foreseeable, and commented on the responsibility of productions to ensure the safety of their actors. "The British film industry has a world-renowned reputation for making exceptional films. Managing on-set risks in a sensible and proportionate way for all actors and staff - regardless of their celebrity status - is vital to protecting both on-screen and off-screen talent, as well as protecting the reputation of the industry." Foodles, which is owned by Disney, is set to be sentenced on August 22, so we will have to wait and see how this all pans out. As far as Harrison Ford is concerned, it hasn't affected his career path very much. He has already been confirmed to be working with Disney and Lucasfilm again on Indiana Jones 5, which will require him to do some more action oriented stuff, like in The Force Awakens. He will also be working with the parent company of Foodles, so there obviously isn't a lot of bad blood there.